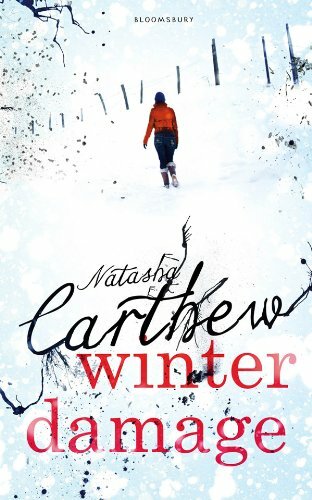 Today I welcome Natasha Carthew to the blog. 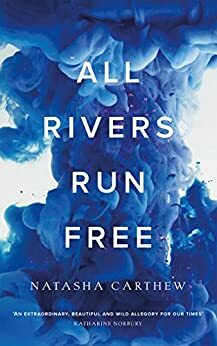 Her latest novel, All Rivers Run Free, was published by RiverRun on 19th April in hardback and ebook formats. The paperback will follow next year. I’m sure you’ll agree when you see it below, that it has a rather beautiful cover. I have a copy which I plan to read and review in the next month or so. You can order a copy of the book online here or from any good book retailers. Thanks for joining me Natasha. First of all, would you tell my blog readers a little about yourself? I was born and raised in a council house on the south coast of Cornwall and have always taken inspiration from my homeland. I left school at 15 with next to no qualifications and instead of higher education, I embarked on a journey of low paid jobs whilst I worked on my writing career. I consider myself a Country writer; rural issues, the environment and nature are always at the forefront of my work and I like to tell stories in a lyrical, timeless way. I spend most of my time outside, either hiking or writing in my cabin that I built out of scrap wood. I live in a cottage in the Cornish countryside with my girlfriend and when I am not writing in my cabin, I can be found climbing the cliff-tops and moors of Cornwall. I have always been a writer; it’s something I have always done without thought. I am inspired by my rural environment and the social injustices that I grew up with as a working class girl. From an early age I wrote Poetry and Song Lyrics and had early successes in top UK and US Poetry magazines which led to the publication of two books. I have two Young Adult books published by Bloomsbury Publishing, have been shortlisted for a few awards and I have a third Young Adult novel coming out with Bloomsbury in November. The starting point for writing this book was I wanted to tell a story that dealt with the issue of mental illness, whilst exploring the nature/nurture aspect of why we behave in a certain way. It is a story about isolation, cruelty and suffering and about healing the past in order to escape the present and subsequently finding peace in the future. I wanted a title that reflected Ia’s journey downriver toward freedom and liberty. A big hike, wild camping and a few beers on the beach. I do and I can’t wait to get back to it, I love writing! My first book Winter Damage, it has loads of survival advice in it!